Thank my niece’s kindergarten awards ceremony for the adorable song that inspired today’s blog title. Mom and I have been singing it all week. If you want to sing it too, watch this video. Yesterday was moving day! Really and truly I moved to Chicago. It still feels a little unreal; I have a big test to take on Saturday (That will determine the fate of my job!! Eek! ), and then Mom leaves on Sunday. I’m sure when she leaves me in the big city, as she has done many times before, the fact will sink in that I really and truly live here. 1) Española, New Mexico (2007): Kind of the opposite of a big city, but it was my first time living all on my own. 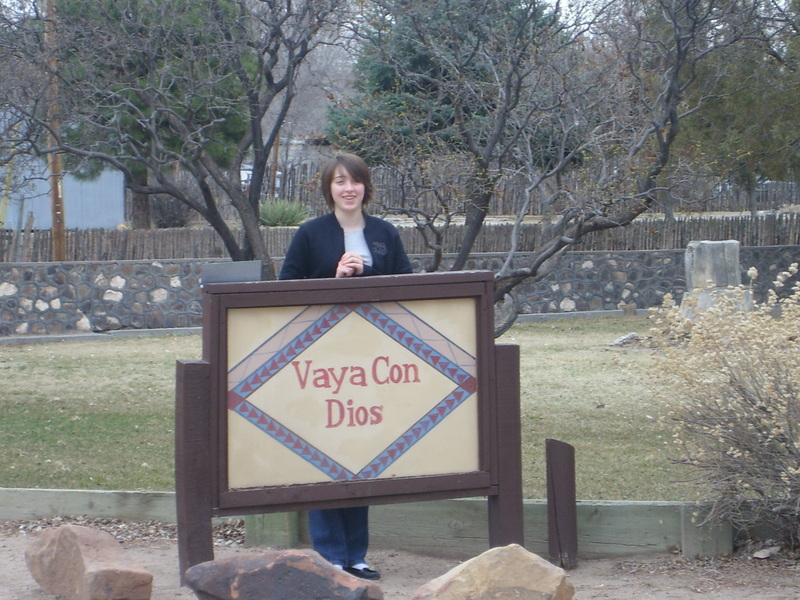 I blogged about how New Mexico was my “coming of age” in this here blog post. 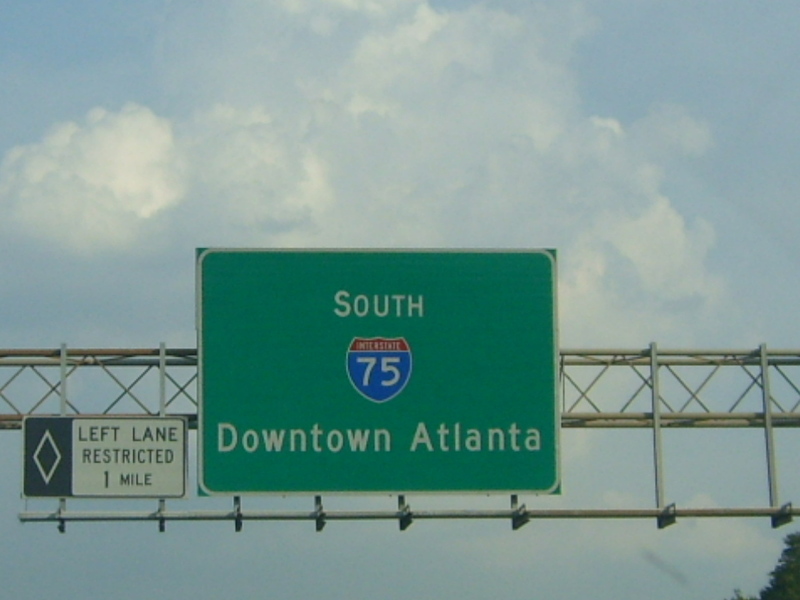 2) Atlanta, Georgia (2007-2011): Yep, college. 3) Charlottetown, Prince Edward Island, Canada (Summer 2010): I lived in the most beautiful place doing music cognition research. Anne of Green Gables is set in PEI, so what could be better? 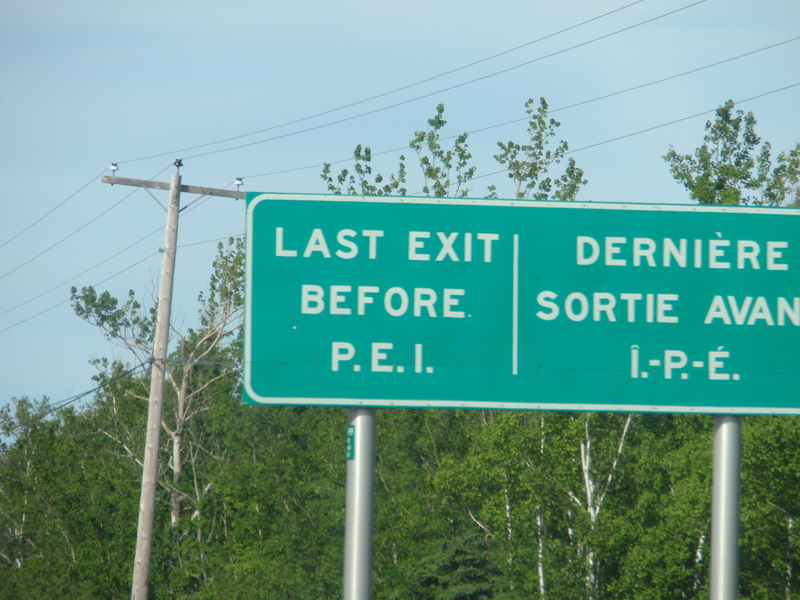 If you dare, enter into the archives to read posts of my time in PEI starting here. 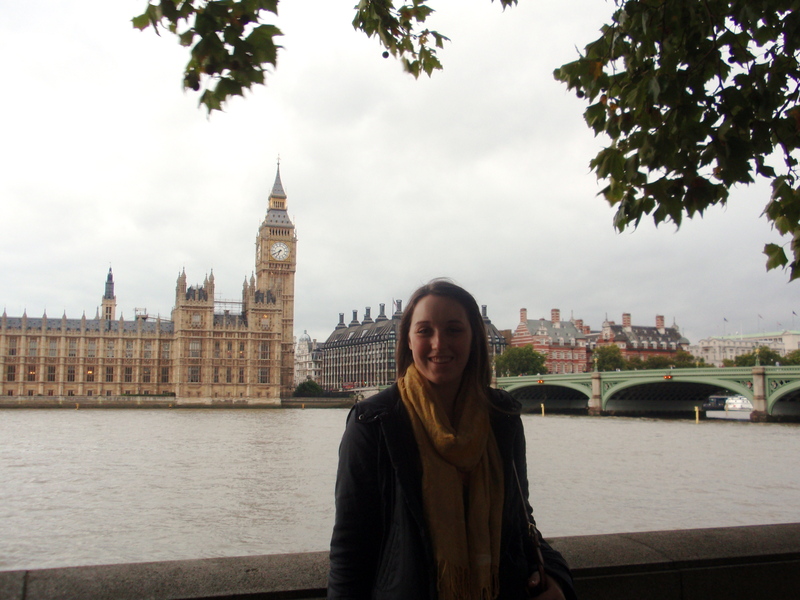 4) London (2011-2012): It was the best of times living abroad for a year while getting my master’s degree. My first London blog is here. 5) Chicago (2013-? ): Here we are! The start of a new adventure. My own graduations have been very subdued, restrained almost. Of course, there was joy, but it wasn’t the waving, jumping up and down, hooting and hollering joy of a graduation from a school with a 46% graduation rate. When the superintendent stood up to speak and said, “Parents, siblings, family members, are you happy? !”, we were so happy, so proud of our children who had beat the odds and received their diploma. It’s moving day! Well, almost. Today we’re leaving for two weeks in Dayton and Indianapolis with family, and then I hope to snuggle into my new bed at Hallie and Matt’s house in Chicago by June 2. Mom and I are exceedingly efficient packers, so this week we had some time to complete projects we’ve put off for, well, years. 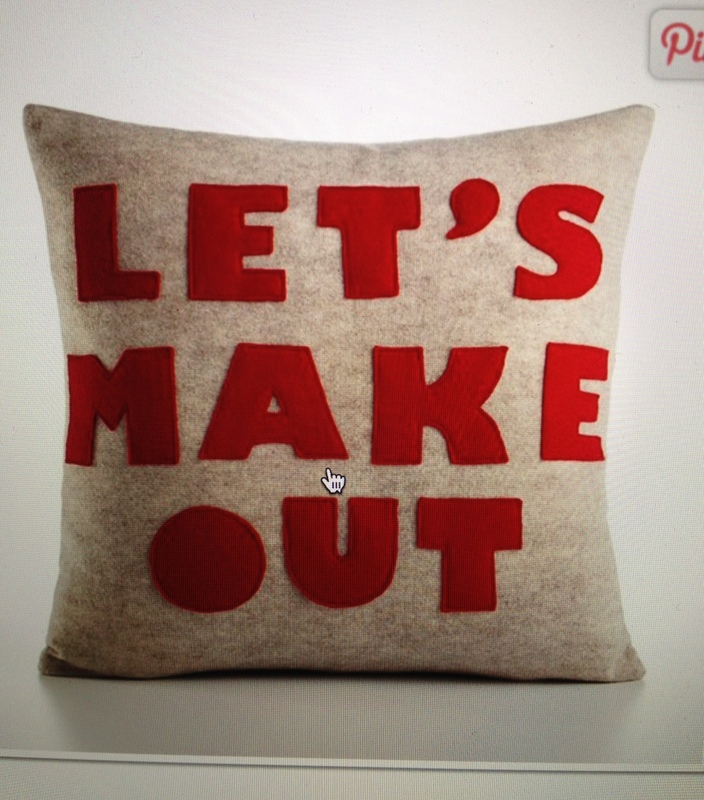 Emily fell in love with this pillow on Pinterest, but wasn’t in love with the hefty price tag. Being the thrifty and crafty bridesmaid that I am, I said, “I’ll make that, no problem!” I’ll share the finished product in a later post, but here are some photos of the process. I drew the letters on 3″ x 4″ pieces of paper, folding in half the symmetrical letters so they’d be, well, symmetrical. Ironing on the “Wonder Under” backed letters to the pillow case. Almost finished product! Just missing top stitching. I used 3″x4″ squares of paper as templates for the letters, and then I traced those letters on to fabric backed with Wonder Under. Once we finished the letters, we ironed them on to our pre-purchased pillow case. Easy peasy. Now I’m working on the top-stitching, which will add that finishing touch! It’s been a busy week in the Reveal household, with Mom and Danny finishing their semesters, Dr. Daddy selling his office building in Dayton, and me packing to move. I’m looking forward to time with family over the next two weeks before starting my new adventure in Chicago! They say a bad dress rehearsal makes a good performance, right? 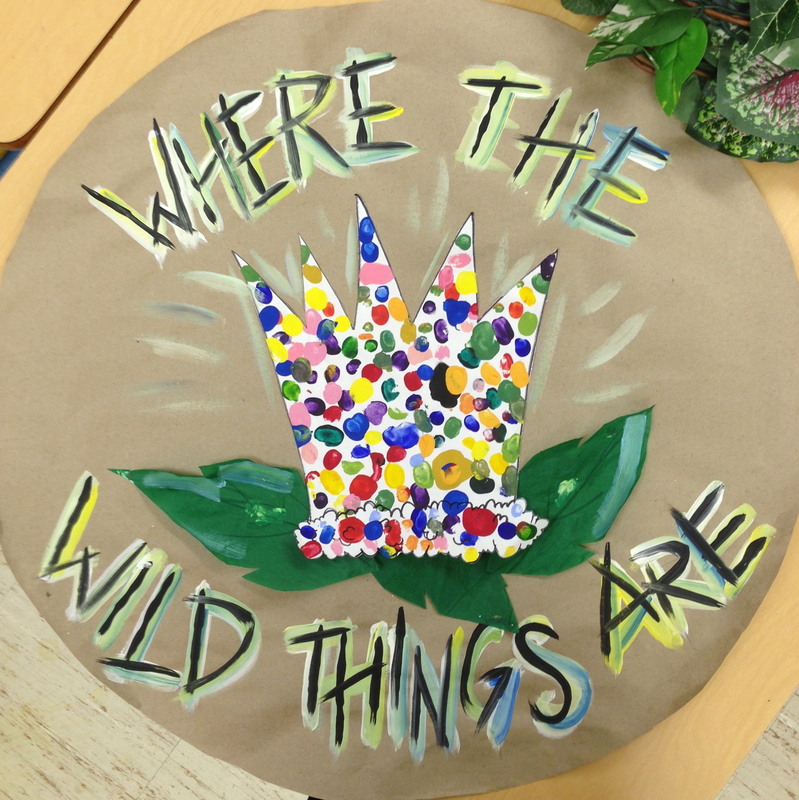 Well, I can honestly say that last Wednesday at the After School Arts Program’s dress rehearsal for Where the Wild Things Are, I wasn’t sure we’d have a performance at all. Last Wednesday all the kids were a little too into their wild thing characters, leaving me to fret over the parents and grandparents and siblings coming to see the performance in just a few short days. Never again will I underestimate children. They came on time and in costume on Sunday afternoon, beyond excited about their performance. They listened and practiced that hour before the show, and when they all went straight to their places in front of 250 of their family members I nearly cried. Fine, you caught me, there were definitely a couple of tears. 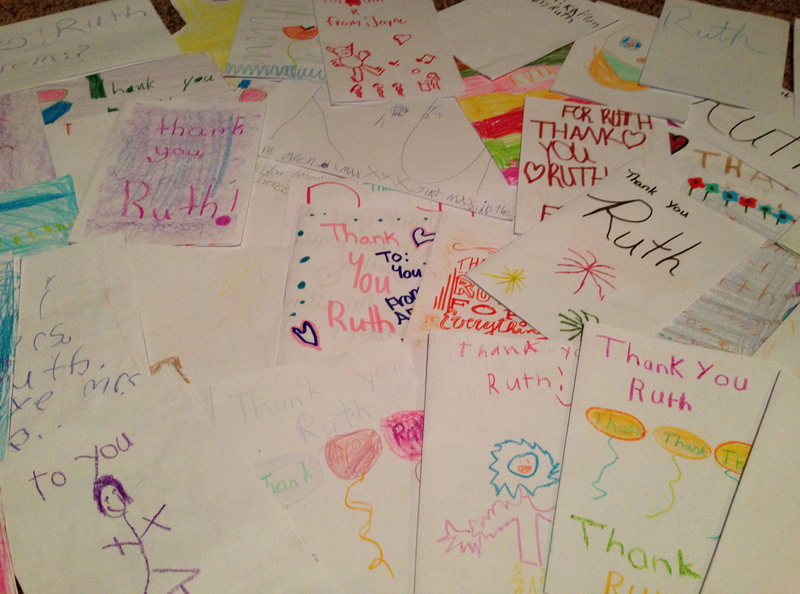 This week is Teacher Appreciation Week, and while my after school kids made me some pretty adorable cards, I really just want to hug and thank each one of them. 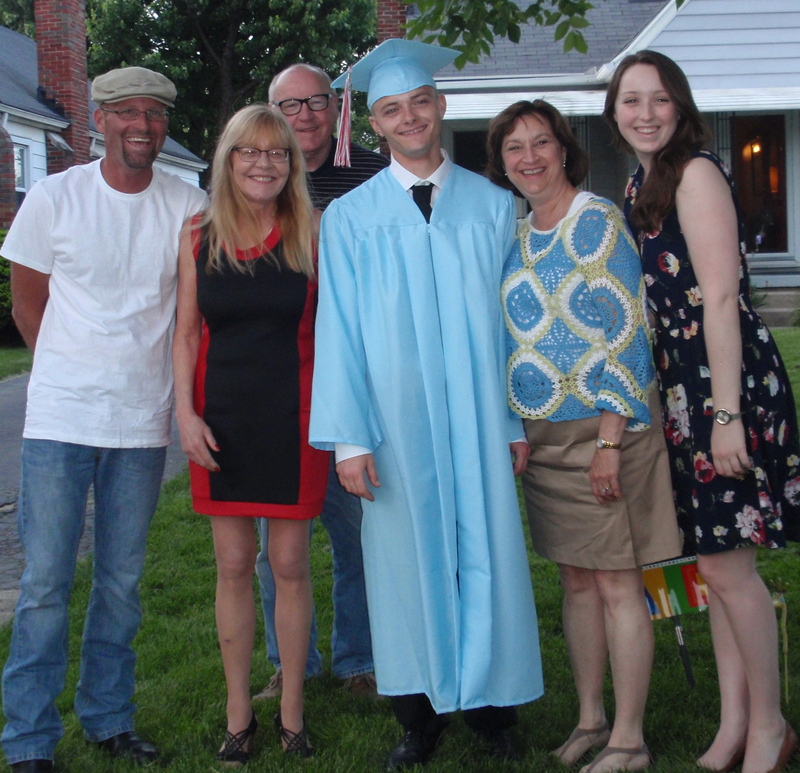 They’ve taught me the importance of arts programs, they’ve taught me how to get (and keep?) the attention of 50 kids, they’ve taught me that this teaching thing might just be for me after all. And that leads me to the very big news! Chicago better be getting her best smile ready for me, because in just a few short weeks I’m moving! 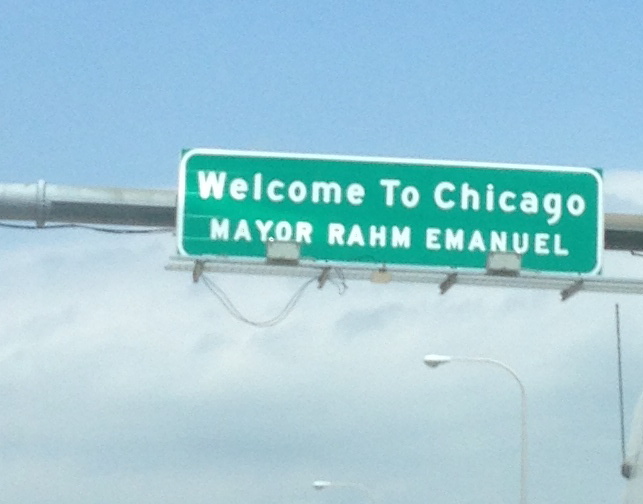 I’ll go into the details of my job in a later post, but the children of Chicago better prepare for Ms. Reveal. Now, on to some blurry photos of our Where the Wild Things Are weekend. And he sailed off through night and day, and in and out of weeks, and almost over a year, to where the wild things are. Traveling three weekends in a row makes Ruth one tired girl, but I couldn’t a resist a weekend in Chicago with a certain special fella and a job interview. And Chicago certainly put on a show for me (read about Chicago snowing me in last time here). Beautiful weather, a clear day for Sears (Willis) Tower viewing, and even a surprise from my favorite Hallie and Matt! 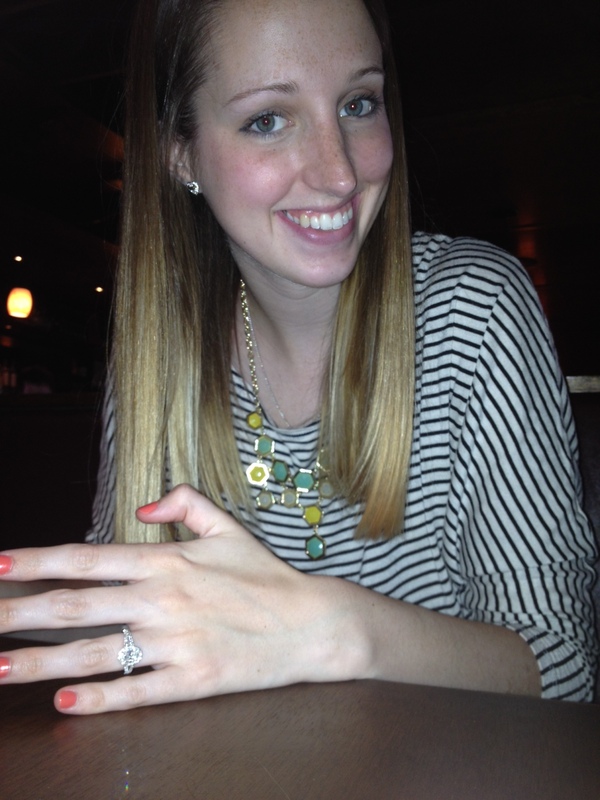 A very happy surprise dinner with Hallie & Matt! Speaking of wonderful weekends, my college-roommate-extraordinaire-Emily had the most wonderful of weekends getting some bling bling in the form of an engagement ring ring! You can read about it at Yippee! It’s MLE or just look at this adorable picture (Kate gets all the photo creds).